Insurance works on the principle of the promise to pay an individual or organization an amount to compensate for losses caused by damage. The insured person or organization ensures this by paying regular amounts known as premiums to the insurer. These premiums can be paid on an annual, half-yearly or monthly basis and will vary due to different factors. In order to get an idea of how much insurance is likely to cost, the insurance companies issue estimates which are called quotes. 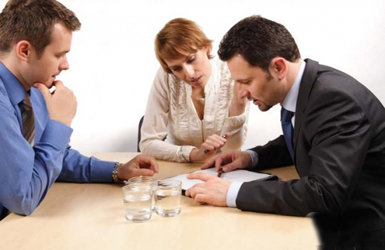 Before buying an insurance policy in Australia, the usual procedure is to obtain a quote. This gives the prospective client an idea as to how much the premiums will cost. It is likely that quotes will differ from one Australian insurance company to the other. Due to this reason it is always a good idea to get several quotes from different insurance companies. In this way, it is possible to compare the different quotes to see which one is the most cost-effective. You can get an insurance quote either by visiting the office of an insurance company or getting one off the internet. You can also avail of the services of an insurance agent who will help you identify your specific requirements with regards to insurance. On this subject, it is very important to pay attention to the available options and choose those that suit your circumstances the best. This will not only help in getting a reasonable quote but will also ensure that you ultimately get insurance best suited to your needs. Always monitor your insurance policy through regular quotes even after you have bought it. This will keep you updated about changes in terms and conditions, insurance laws, level of coverage, cost of premiums and so on.